Our club annually spports the F?riends of the Library Spring Book Sale. First opportunity is 2-3 volunteers to help set up for the sale in the Library Basement. Volunteers should arrive by 9:00 a.m. Contact is Walter King. Our club annually supports the Friends of the Library Spring book Sale. 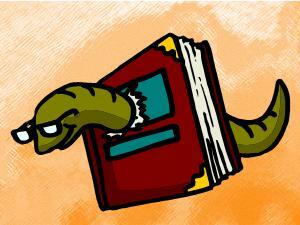 We need 2-3 volunteers to help retrieve leftover books. You will need to bring boxes (15 is recommended) and then plan to transport them to NETWORK as a donation. Contact with Friends of the Library is Sandy Martin. The Friday before Mother’s Day (May 10th this year), Altrusa traditionally helps with the Mother’s Day Tea celebration at Friends Place. The event includes lunch, plus tea and desserts, for clients and their families. Altrusans help set up, serve and clean up. The Seniors Committee is providing tea and cookies for this year’s event. We need several volunteers from the club at large for each of the three shifts listed below. Feel free to sign up for more than one shift! for Shifts 1&2, 2&3, or all three. Program: "Installation of 2019-2020 Officers"
See calendar below for this month's read. Each year, Altrusa provides a Manners Party to Pre-K students at Terrace Elementary School. The first day we will prepare for the party the next day, as we help students wrap gifts that they will give to a fellow student the following day. We need four volunteers for the morning sessionn and four volunteers for the afternoon session. Please sign up for one or both. Each year, Altrusa provides a Manners Party to Pre-K students at Terrace Elementary School. The second day, the children exchange gifts and learn about the manners needed for a party and for gift exchanges. We need four volunteers for the morning session and four volunteers for the afternoon session. Please sign up for one or both. The Foundation Trustees will meet on this date, for the first meeting of this Club year. Club Members are welcome to attend. Please register online to ensure there are enough seats to accommodate all attendees at the location. If you wish to eat, please arrive by 6:30 pm. The Meeting will start at 7:00 pm. The next Senior Book Rotation will be held Saturday, June 15, at 10:l00 A.M. We partner with a men's organization and they will help carry the books. In order to make four teams, we need at least four Altrusans, and preferably eight. We also need vans and SUVs so if you have one, please drive it that day. Please arrive at the Richardson Public Library by 10:00 a.m. It's Summer Time! Time for flip flop0s and iced tea in the afternoon sunshine! Come help us celebrate Summer Time at Ability House! Don't forget your pool toys and how to make a sand castle! Do'n State of Texas flair! The year is 2019 and you all know what that means. It is time for the honored tradition of the Altrusa International Convention. This year the convention will be held in Reno, NV from July 17-20, 2019. For more information click on the following link and explore the Call to Convention. Comments/questions may be sent to Altrusa@Altrusa.org. “Bluebird, Bluebird” by Texas native Attica Locke is the selection for the 2019 Richardson Reads One Book (RROB) program, announced Tuesday. The chosen book, which will be featured in discussions and other events in Richardson throughout the next five months, is a thriller set in East Texas that explores the intersection of love, race and justice. It is the 2018 winner of the Edgar Award for Best Novel, and the first in a “Highway 59” mystery series. Locke, who will appear at a free RROB public lecture at Richardson High School Sept. 24, is the author of three other novels and is a television and film writer and producer. Copies of “Bluebird, Bluebird” in various formats are available for check out at the Library. For more information, go to www.cor.net/onebook. 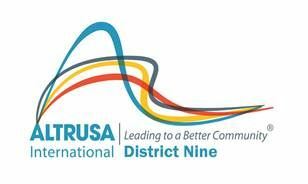 The 2020 District Nine Conference will be hosted by Altrusa Richardson. Thu, April 11, 2019 Lunch Bunch! Thu, February 07, 2019 Mini-Info Session, "All About Conference (April 2019) and Convention (July 2019)"
Tue, November 13, 2018 World Peace Art Contest, - "Spread Peace through Kindness and Compassion"
Fri, October 26, 2018 RETENTION: Dallas by Chocolate "Ghost Tour"
Thu, October 25, 2018 HASR Conference - "We're Better Together"
Thu, August 16, 2018 Dinner/Program Meeting: What is in your Future? Tue, November 14, 2017 World Peace Art Contest, - "Imagine a World at Peace"
Sat, August 05, 2017 ABILITY HOUSE: Robert's Birthday Celebration!! Mon, July 10, 2017 Altrusa Supports Fire Department - Pet Respirator Donation - Pets Welcomed to Attend! Thu, July 06, 2017 Altrusa supports NETWORK: "Tools for School"
Fri, May 26, 2017 Altrusa of Richardson Salutes Older Adult Month/Be Informed and Be Prepared! Wed, May 24, 2017 Altrusa of Richardson Salutes Older Adult Month/Be Informed and Be Prepared! Sat, April 29, 2017 ABILITY HOUSE: Nina's Birthday Celebration!! Sat, March 04, 2017 Ability Connection: Kathleen AND Henry's Birthday Celebration!! Sat, February 25, 2017 Leadership Luncheon "Communication With Purpose"
Sat, February 18, 2017 ABILITY HOUSE: Vera's Birthday Celebration!! Sat, November 12, 2016 ABILITY HOUSE: Shelley's Birthday Celebration!! Mon, October 31, 2016 World Peace Art Contest "Imagine a World at Peace"
Tue, August 16, 2016 SENIORS: Pillow Photo Op! Sat, August 06, 2016 ABILITY HOUSE: Robert's Birthday Celebration!! Sat, April 30, 2016 Ability Connection: Nina's Birthday Celebration!! Sat, March 05, 2016 Ability Connection: Kathleen's Birthday Celebration!! Sat, February 20, 2016 Ability Connection: Vera's Birthday Celebration!! Sat, January 23, 2016 Leadership Luncheon "Becoming a More Effective Communicator"
Tue, December 01, 2015 RETENTION: Fixing Reindeer Food! Sat, November 07, 2015 Ability Connection: Shelley's Birthday Celebration!! Sat, August 08, 2015 ABILITY HOUSE: Robert's Birthday Celebration!! Sat, August 01, 2015 Dog Park preview and photo op! Sat, April 11, 2015 ACT Event at WENTWORTH HOUSE: Shawn's Birthday!! Sat, March 28, 2015 ABILITY HOUSE: Kathleen's Birthday Celebration!! Sat, February 21, 2015 ABILITY HOUSE: Vera's Birthday Celebration!! Sat, November 08, 2014 ABILITY HOUSE: Shelley's Birthday Celebration!! Sat, August 02, 2014 ABILITY HOUSE: Robert's Birthday Celebration!! Sat, July 26, 2014 ABILITY HOUSE: Roberto's Birthday Celebration!! Sat, May 24, 2014 RETENTION: Music on the Patio!